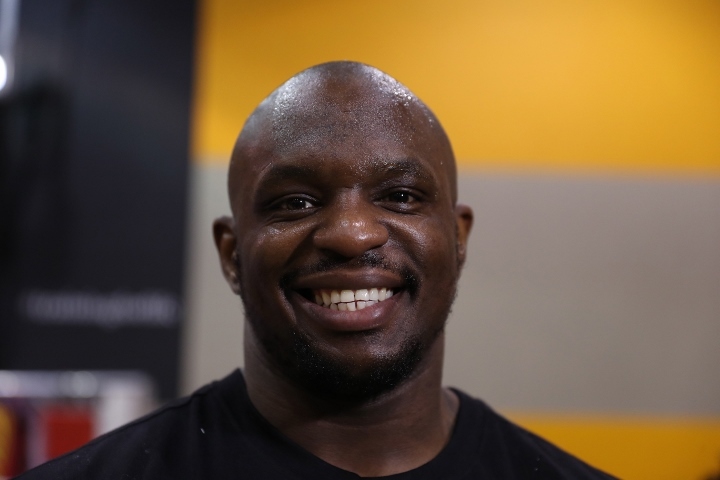 British contender Dillian Whyte is not holding his breath for a potential fight with WBC heavyweight champion Deontay Wilder. Whyte went through several WBC mandated eliminators, won various regional belts under the sanctioning body, and he holds the number one position in their rankings - but he was passed over when the World Boxing Council ordered Wilder to face Dominic Breazeale. When the fight was announced, Whyte erupted over the WBC's decision to make Breazeale the mandatory challenger. Wilder will defend the belt against Breazeale on May 18th in a Showtime televised main event from the Barclays Center in Brooklyn, New York. Whyte recently met with WBC President Mauricio Sulaiman. He made an official request to receive the mandatory position to the Wilder vs. Breazeale winner. “Wilder, what can I do? He’s fought one mandatory challenger in four years. One. How can he still be champion? The guy he won the belt from, who has had one fight in two years, he fought him for it," Whyte told The Express. “I’ve been No 1 for two years. Breazeale shouldn’t even be a mandatory, he fought Eric Molina who was suspended at the time, banned because he failed a drugs test after the Joshua fight - he shouldn’t even be eligible to fight. He’s [Breazeale’s] No 4, I’m No 1. Who has he fought? I’ve fought back-to-back good guys, I’ve won seven or eight WBC title fights and more. WBC did not give whyte #1 without reasons, he must have worked his asz out to get to that position.